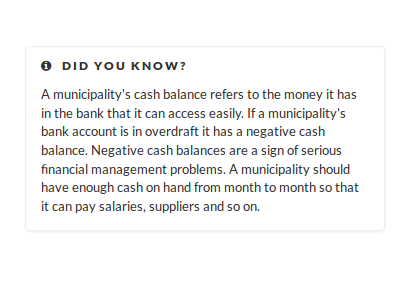 How well is your municipality managing its money? Municipal Money is our money, spent in our name. As citizens, we should know how this money has been spent and also have a say in how money is spent in the future to better our lives. How do I find a municipality? Start typing the name of the municipality. 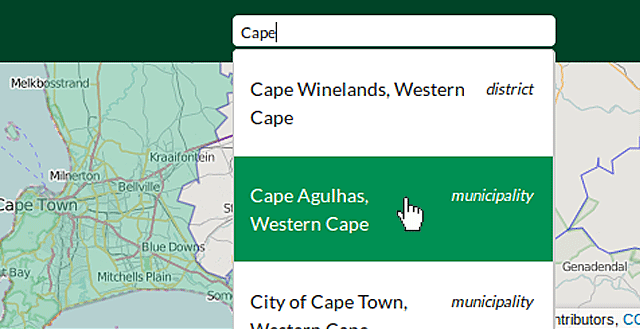 Then select the correct municipality from the dropdown. 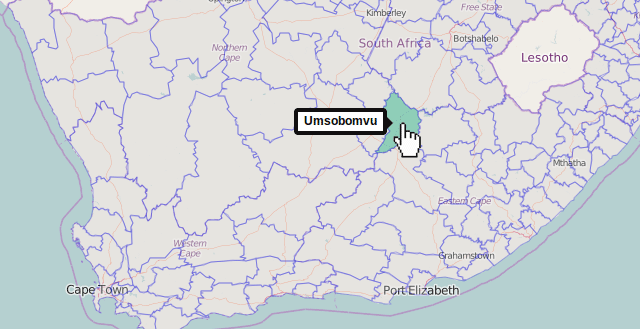 Alternatively, select the municipality on the map. buttons to zoom in and out. How do I explore the data? 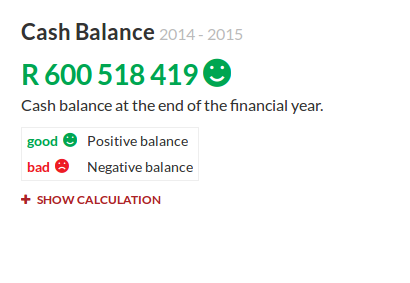 Every municipality profile includes indicators describing the municipality's financial health. A chart is shown visualising the value over the last few years. Many indicators include a DID YOU KNOW? box providing additional information or explanations.